Swanky. Marble surfaces, frescos, and sculptures. 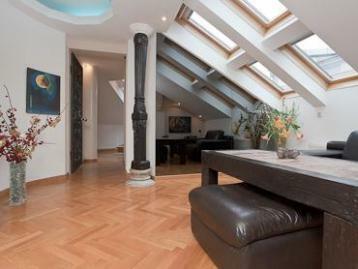 Add to the mix that the apartment is serviced, and you might feel like Viennese royalty. Pop up to the shared roof terrace to check out the views. Or relax in the Jacuzzi. It’s romantic here. And very spacious for two, but if you want even more space we have other apartments in the same building.